"Wait a second...it's 2017. 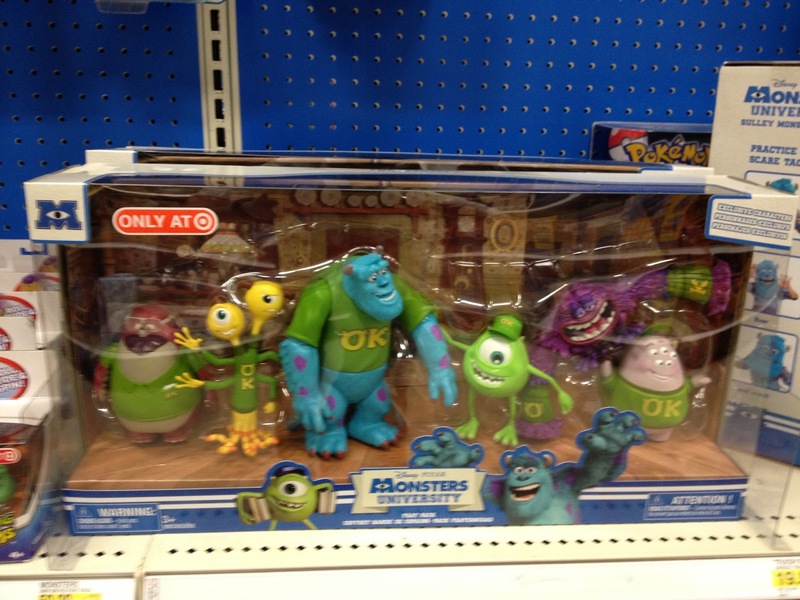 Coco merchandise just came out, not Monsters University!" Maybe you're thinking that and your confusion is valid. I know this post may be random, but I've been focusing a lot on the Coco and Cars 3 merch lately—so I thought I'd mix it up today! It's getting late here and I'm down with a super bad cold, so ultimately I just couldn't get to taking pictures and doing a full review of anything new tonight. I figured it was the perfect night to type up a quick little "Flashback Friday" post. 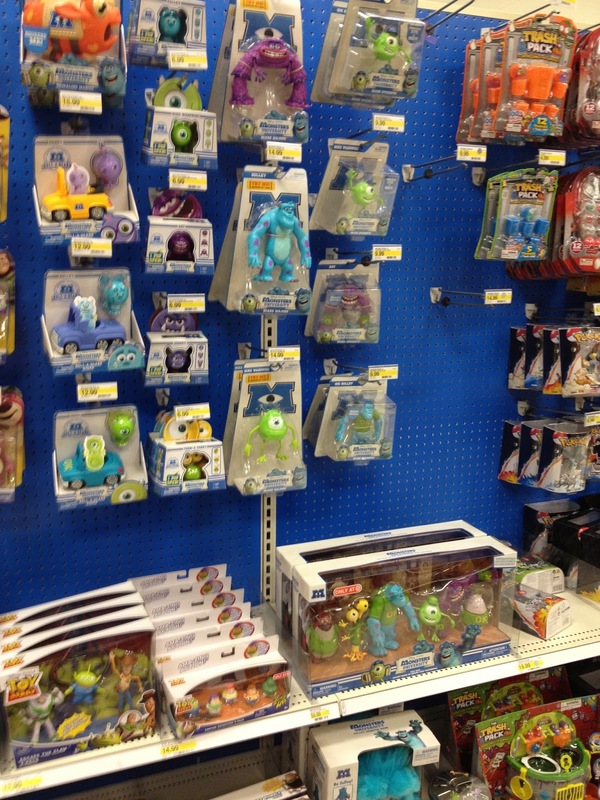 With all the fun of toy hunting for the new Coco products this past week, it's brought back some classic memories for me of tracking down the Monsters University toy line back in 2013 (still one of my favorite collections—I can't believe that was almost 4 1/2 years ago). 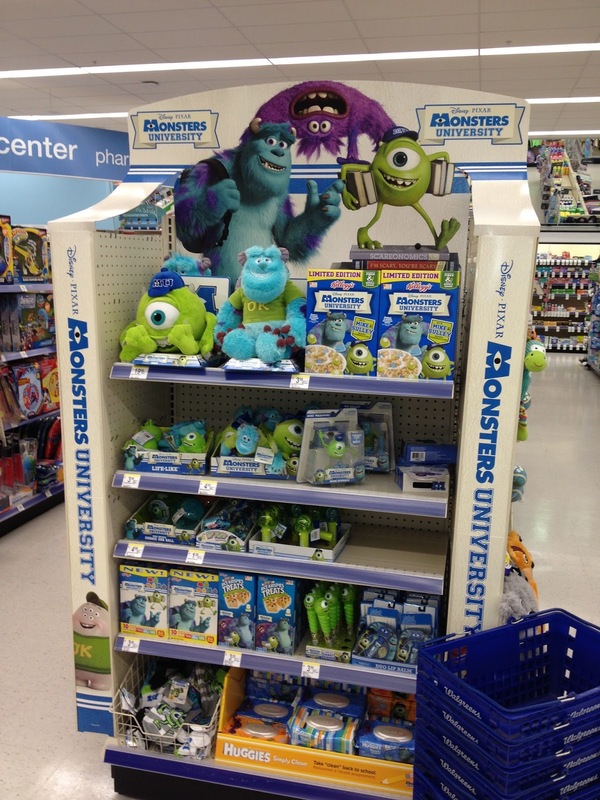 I then realized that I never did any documentation here of the MU stuff on store shelves back in the day! You know I like to do that. Anyway, I went into my photo archives and found these few pics. 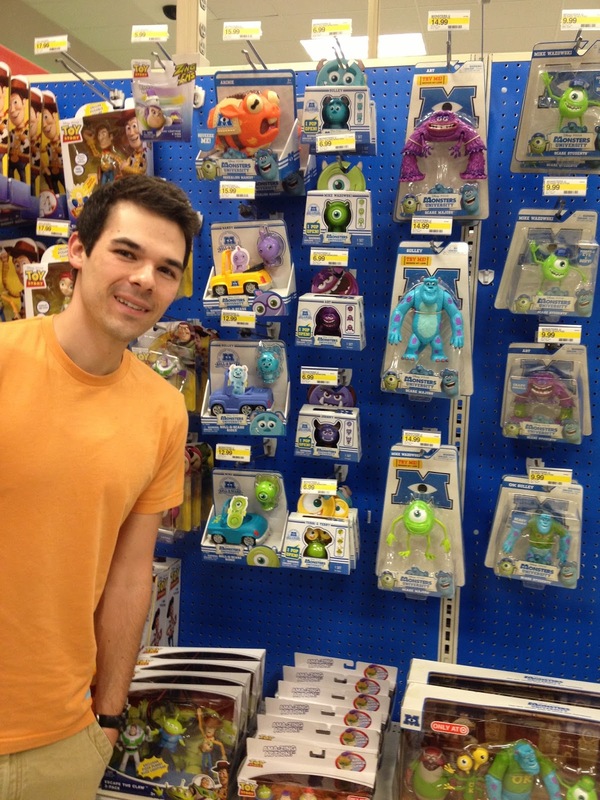 This was the year I started this blog (in fact, the Monsters U toys were some of my very first posts), so this line is special for me in that sense too. 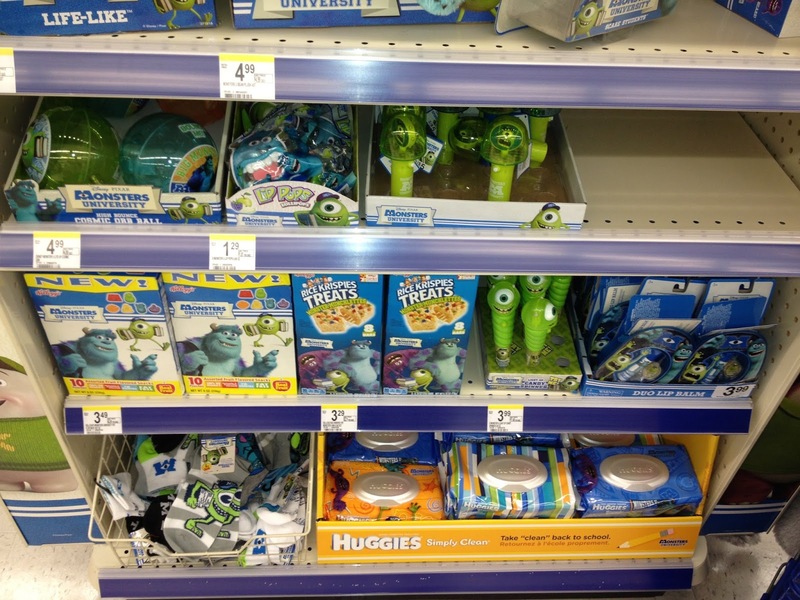 And then here are some pics I took at Walgreens around that same time! What do you think? Does this bring back some good memories for you as well? 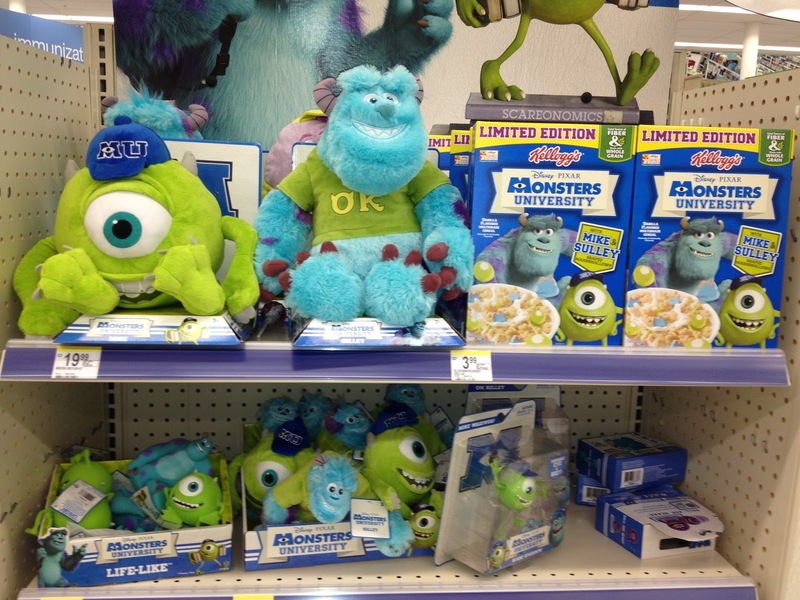 If you have any related stories you want to share in regards to this release or any Pixar product release over the past few years, shout it out in the comments below!